Divorce is never easy, on anyone involved, but it’s especially difficult when children are involved. Whilst you are in the midst of a massive emotional trauma you must ensure that you are also helping your children through this difficult time. To make life a little easier, we’ve compiled 5 top tips to help you and your children through it. It is vitally important that, whilst going through a divorce, all conflict and ill feeling is kept far away from children. This rule should also be followed when discussing any legal matters. Separation is hard enough without children feeling or seeing the negativity between their parents. Try to keep your child’s routine as normal as possible. Weekly activities and clubs should still be attended despite any household drama as it is important that your child does not begin to feel like a burden. Keeping to a routine is a great way to maintain a feeling of security for children. Work together to build a plan that allows both parents to have regular contact with any children involved – this will help to dispel any animosity from either parent. 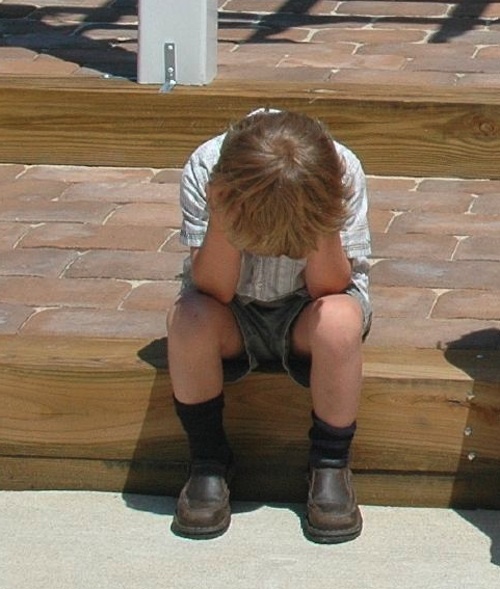 Quite often children will assume that they are to blame for any divorce or separation. It is therefore important to explain to children that it is not their fault, give them a chance to voice any concerns and answer any questions that they may have. Have a word with adults that your children have regular contact with, especially teachers, to let them know the situation. You may find that your child is more affected than you think and teachers will be able to give you a good indication if their behavior has changed. Try to keep everything as amicable as possible when going through a divorce or separation as children are very easily affected. Bear in mind, though, that divorce is also incredibly traumatic for yourself too and you may find that you need a helping hand to deal with it too. This guest post was written by Kathryn Thompson on behalf of uShip. If you are going through a separation and need help moving take a look at their site for man with a van services. something I don’t wish on anyone. such a scary and sad situation especially when kids are involved. I don’t wish this on anyone. It’s such a sad situation. While I agree you shouldn’t fight in front of children, if you don’t show them there is an issue, divorce can really scar them bc they thought everything was okay… it’s a balance. I speak from personal experience.